Brisbane has just e xperienced its wettest summer in six years, with rainfall 30 per cent higher than the average. Our dams are more than 98 per cent full, the highest they’ve been in 10 years. And autumn is looking pretty damp too – with March’s rainfall almost twice the average. With more rain predicted, you’ll need your free prorentals.com.au umbrella to keep you dry. All you need to do is call prorentals.com.au on 3721 6903 and we’ll deliver one to your door. With all this water around, it’s a good time to update your knowledge about how water charges apply to rental properties. The Residental Tenancies Authority has prepared a fact sheet that outlines who pays for water when it comes to rentals – it’s an easy-to-read guide to your questions about tenants and water usage. We would like to offer to you of a no-obligation, FREE, independent rental appraisal. We will meet with you at the property, do a property description and compare these properties to similar properties in our management portfolio of more than 1700 properties, as well as compare them to similar properties on realestate.com.au to give you an idea of what your property should rent for. We can also do rental appraisals from off the plan for those properties that are yet to be completed. Call us today on 3721 6903 to arrange your free rental appraisal! 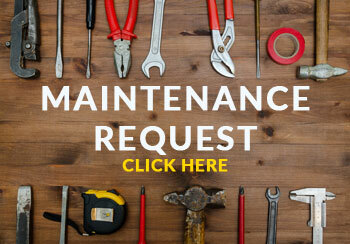 Click here to refer a client or request a rental appraisal on our website! Did you know that you can now sprinkle your lawns again? With our dam levels approaching nearly 100 per cent, our tough water restrictions have been eased. The current guidelines have a daily water-use target of 200 litres a person a day. These guidelines cover various water-related activities around the home including sprinkling, washing cars and filling pools. Now it’s a lot easier to keep your lawns looking great. The Queensland Government’s legislation governing smoke alarms and safety switches in residential rental dwellings imposes considerable obligations and responsibilities upon an investment property owner. • A property investor must ensure their rental property is fitted with the required quantities of working smoke alarms that comply with the relevant Australian Standards for smoke alarms, and that they are correctly positioned in accordance with the Building Code, as stated within State Government legislation. • A landlord must also ensure each smoke alarm is tested, cleaned and each battery that is spent or known to be almost spent, is replaced within 30 days before the start of a tenancy which would include any new tenancy and tenancy renewals, and where a fixed-term tenancy lapses into a periodic tenancy. 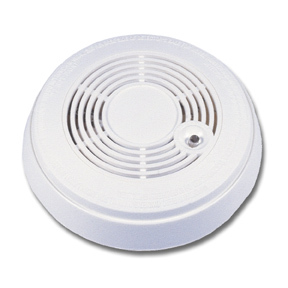 • A landlord must replace each smoke alarm on or before it reaches the end of its service life or if it becomes faulty. • Electrical safety regulations also impose upon a landlord the compulsory installation of safety switches for all power outlets. Landlords also have an obligation to ensure these devices remain in working order. • A landlord must not remove or do anything that would reduce the effectiveness of a smoke alarm to produce adequate warning to the occupants, other than to replace it or its battery. • The legislation prohibits a landlord from transferring these ongoing responsibilities (that must be carried out before the start of a tenancy) to a tenant. Until we find a suitable tenant for your investment property, you won’t have to pay us a cent. 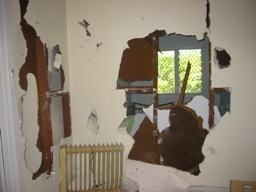 A vacant property doesn’t make dollars… or sense. Let us put our easy-to-follow plan into action to help you secure a suitable tenant. 1. 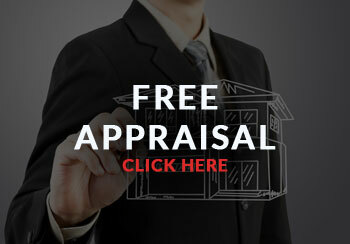 Conduct a FREE rental appraisal using comparative market analysis. 2. Take photos internally and externally. 3. Write a description of the features that your property has to offer tenants. 5. Add your property to our vacancy list and our distributed flyers. 6. Add your property to www.realestate.com.au. 7. Put up a “For rent” sign. 8. Add your property to our letting showroom – where your property is available for viewing over the internet, including internal and external photos. 9. After-hours inspections – our leasing team conducts escorted inspections from 10am-7pm, Monday to Friday, and 9am-5pm on Saturdays. So confident are we that our service, experience and systems work to your advantage, you won’t have to pay us a cent until we find you a tenant that meets your approval. We are happy to compete with other agents on a find-a-tenant, get-the-management basis. In the end, there will be only one choice – prorentals.com.au. With the current economic downturn we are experiencing at the moment, there is no better time to obtain landlord insurance. At prorentals.com.au, we do all the relevant reference checks to ensure that your rental property is occupied by quality tenants. However, tenants’ circumstances can change very quickly, for example, a death in the family, divorce, or (the big one at the moment) losing your job. The rent can suddenly stop – and the bond may not be enough to cover any outstanding debts. This is just one reason landlords should consider insurance. If you have any questions regarding an insurance policy, please contact your nearest Terri Scheer Insurance office. Any astute investor will ensure that their investment property has landlord insurance.